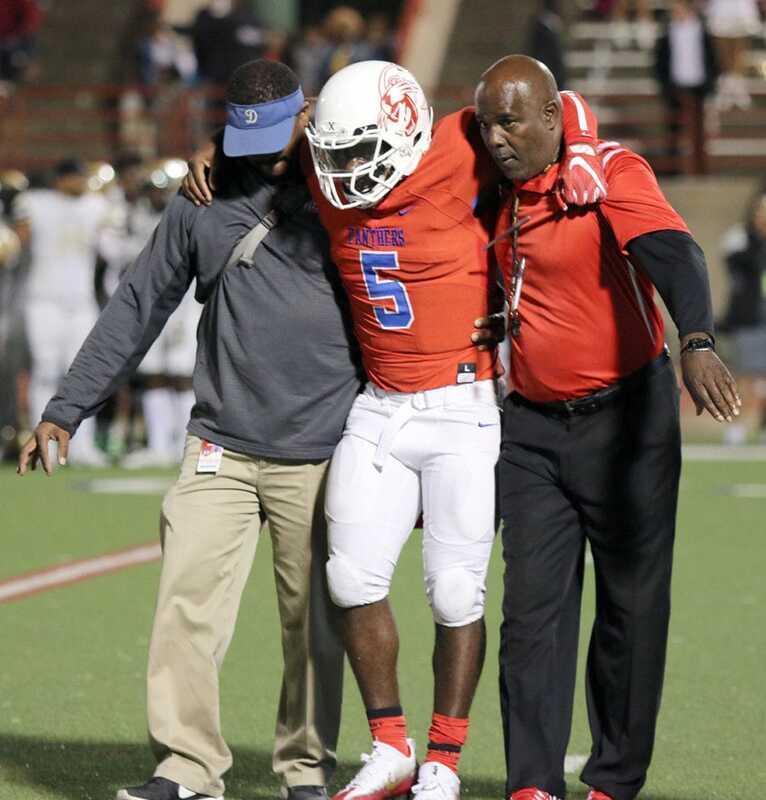 COMMENTARY—Saturday night was heartbreaking, not only for the Duncanville Panthers fans but for the supporters of Head Coach Reginald Samples. After battling back to regain the lead 36-35 with one minute and seconds left in the game; a 56-yard Hail Mary pass by Galena Park North Shore snatched the dreams of Samples’ first state title. Hours later, while preparing to watch the Dallas Cowboys take the same field at AT&T Stadium the initial shock has dissipated only to be replaced by disgust. Disgust at the idea some of my alumni and other amateur sports critics have expressed that Samples is cursed. And that his repeated losses at the big game are somehow comeuppance for past indiscretions. Malarkey! Insert the real expletive I wanted to use. Listen children, failure is inevitable in life. As a matter of fact, it is integral. Do not allow your dashed dreams of professional sports to disparage the reputation of someone doing well and changing lives in the process. Even the legendary Tom Landry had trash records before 2 Super Bowls, 5 NFC Championships and a slew of winning seasons. In fact his first season he went win-less. And the next five seasons he famously never won more than four games each season. I wonder what unkind things fans and former players had to say about him? 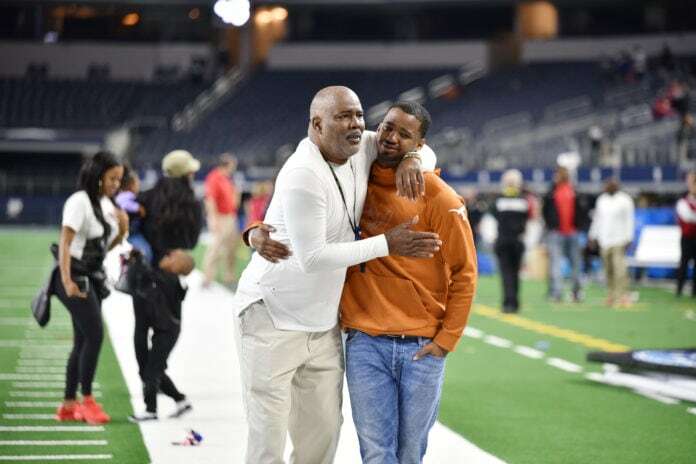 Honored as the most winning black coach in UIL (University Interscholastic League) history, in three years Samples lead a team that was tied for last place in District 8-5A to the state championships. Moreover, if he never gets a state championship ring, he has consistently made it deep into post season play with three different schools in three different classifications. That has to say something. 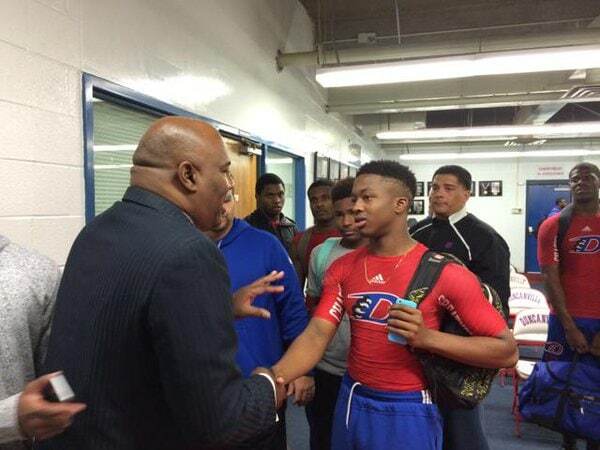 Samples coached Skyline to a 14-1 record and a berth in the Class 6A Division I semifinals in 2014. Skyline lost to eventual state champion Allen 52-34 after losing a 34-17 lead in the second half. Ten years earlier Samples coached at Lincoln, who fought for the Class 4A Division II state championship in 2004. The epic battle against resulted in a loss to Kilgore 33-27 after a double overtime game. I played for Samples at Lincoln High School from 1997 to 1999. Little did I know that it would be a transformative experience in my young life. I transferred from Shreveport, La in mid-September 1997. I did not live in South Dallas and the deadline for the magnet program was long passed. All I knew is that journalism was in my future and the Communications Magnet at Lincoln High was the best starting point. My grandfather, who was a Dallas County school bus driver at the time, didn’t take me to the front office to enroll me. Instead he took me directly to Coach Samples’ office and told him I needed to be in school. Samples looked me up and down, walked me to the front office and told my mom she could go. And that was that. If I had not been in that place at that time in my life who knows where I would be today? Honestly, I never was an exceptionally smart football player. Coupling strategy with dexterity was not my strongest point. But I was BIG. So, Samples put me on the defensive line most of the time. Just tell me who to tackle and I’ll tackle them. This was fine for me because like many boys from a broken home I was mad. I just wanted the opportunity to hit someone. Because I was not strong enough to hit the man who hurt my mother, my brothers and me. Also, during this time there were other coaches that made huge impacts on my life: Coaches Lewis, Johnson, Taylor and Potter. Up until this point in my life I had never interacted with so many positive black male role models at one time. Often it was more than coaching football. It was feeding, mentoring, transporting and yes disciplining us. Sometimes those ham sandwiches before games might have been the only meal many of us had that night. The fathering role became real to me when I realized I was excited for the weekly athlete grade sheet day. Teachers signed the form to guarantee an athlete’s grades behavior did not preclude him or her from play Friday night. I would be so pleased with myself as I turned it in. I would have perfect scores and many of my teammates … not so much. But more than beating out my teammates — I wanted Coach to be proud of me. Teachers would send us to the coach’s office before we would get sent to the discipline office then known as “Youth Action.” God forbid one of the coaches was on duty in Youth Action when you got sent down for disrupting class. This usually meant a paddling as well as extra running that evening at practice. So, while Coach Samples may not have a state sanctioned championship title, his trophies shine through in each and every student athlete that he inspired to complete high school. In every scholar that went on to attend and complete college, your steadfast determination is remembered. For those of us who did not have a father figure at home you taught us different aspects of manhood, and for all these things I say thank you. We are your ultimate championship.